Images used on the layout and throughout the site were largely sourced through the Final Fantasy wiki. Some images were found through Creative Uncut and then reverse searched at Google, for larger sizes. 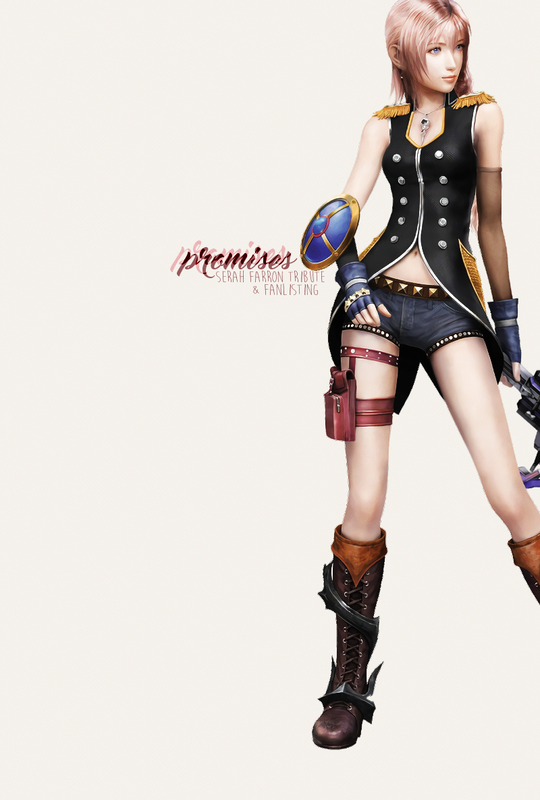 Tracer of Memories images are from Dengeki Online. A PHP script was used to make the layout images alternate, which can be downloaded for free at Dyanmic Web Coding. Patterns used are from subttlepatterns. Fonts used are Amatic SC, Ave Fedan, Dosis, Lato, Master of Break, and Moon Flower Bold. Amatic SC, Dosis and Lato are sourced directly from Google Fonts; the other three were downloaded from dafont. Final Fantasy XIII and Serah Farron © Square Enix. No copyright infringement is intended. No profit is made from the running of this site.